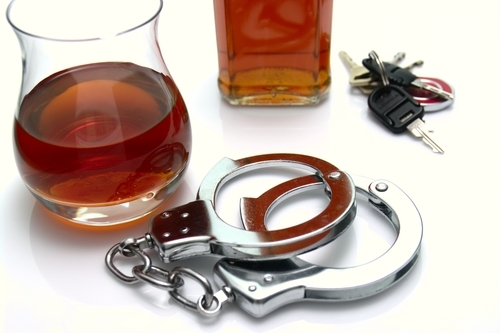 When people are charged with DUI, one of their first concerns often revolves around the possibility of having to serve jail time if they are ultimately convicted. What many people may not consider, however, is how much a DUI conviction will impact their finances, as there are a number of different DUI costs that people have to cover in the aftermath of a conviction. Colorado DUI costs will include various court fees, as well as expenses associated with getting one’s driving privileges reinstated. These Colorado DUI costs are conservative estimates. These costs will significant increase when factors like car accidents, injuries or deaths have been involved in the DUI case. The best way to minimize Colorado DUI costs is to entrust your defense to Denver DUI Lawyer Christopher Griffin. Chemical testing costs, which are about $90 but can be as much as $150. This adds up to court costs that range from being about $2,255 to as much as $2,915. Court fines and fees are just one aspect of Colorado DUI costs that people will have to cover if they are ultimately convicted of drunk driving. Another expensive aspect of DUI costs will be the fines and fees associated with getting one’s vehicle back and getting one’s driving privileges fully reinstated. Additional drivers’ license reinstatement fees, which are about $95. Here, it’s important to point out that a person convicted of a DUI will also face significantly higher auto insurance rates for at least 5 years (and potentially even longer, depending on the specific circumstances of a person’s probation and case). On average, for people convicted of a first DUI in Colorado, the additional costs of having car insurance are about $3,000 over 5 years. This means that the Colorado DUI costs associated with vehicle and driving issues will be at least $4,286. When added to the costs of DUI court fees, so far, the cost of DUI convictions (which is not the total cost) range from being about $6,541 to $7,201. For our continued discussion of DUI costs in Colorado, don’t miss the upcoming conclusion to this blog. If you or your loved one has charged with DUI or any crime, Christopher Griffin wants you to know that he is ready to immediately start providing you with the strongest possible defense. Regardless of the type of charges you are facing or whether you may have a criminal record, Christopher Griffin and all of the legal professionals at the Griffin Law Firm will work relentlessly to help you obtain the best possible outcome to your case. To receive professional advice regarding your case, contact us by calling 303-280-1070 or by emailing us using the form at the top of this page.